See our classrooms in action! Secure a spot for your child! Guidepost Montessori Prosperity is a welcoming, diverse community in a thriving corner of Charlotte, North Carolina. Our campus is located on expansive grounds, with plenty of room for children to spread out and explore. Our families from all around the globe are representative of the vibrant neighborhood surrounding our school. They are united by their belief and investment in the incredible benefits of a Montessori education, along with their passion for sharing ideas and connecting with like-minded parents. Our beautiful campus and welcoming community is the perfect place for your child to explore her own potential. Guidepost Montessori classrooms are light, airy, calming, aesthetically beautiful spaces. Each material is carefully chosen and carefully displayed — to inspire and entice your child to explore. Nido means “nest,” the Italian word that Montessori used to describe the environment specially designed for infants. In the Nido, your child will discover all the things he can do, all by himself! Beautiful and spacious, the activities on the shelves in our toddler room will call to your child to discover new things. Your toddler will be fascinated by all of the interesting things prepared just for him! Chairs, tables, and all the parts of each activity are specially sized to fit your toddler. Children's House classrooms respond to the young child's need for order with beautiful and lovingly curated materials that speak directly to your child's desire to actively explore the immediate environment. As your child is introduced to one enticing activity after another, she finds endless, marvelous opportunities to discover her own potential. The Children's House classroom appeals to the young child's intelligence with concrete experiences offered through carefully-sequenced activities. Your elementary-aged child uses the materials and activities of the classroom as a window to the world. Her developing imagination gives her the ability to visualize the distant past, the far reaches of the universe, and the tiniest particle of matter. The materials in the classroom spark that imagination and inspire her to plan outings, initiate project-based learning, and delve deep into literature, science, and history. The elementary child's mind gradually develops the ability to abstract complex ideas, so over time your child will work less with the concrete materials and more with conceptual ideas. Mrs. Dolores Murgolo and her husband spent many years working on Wall Street in New York City before moving to Huntersville thirty years ago. Soon after their move, they chose to provide their two sons with a Montessori education. Mrs. Murgolo regularly volunteered at her children’s school and became so intrigued by the approach that she became an assistant teacher in 1989. Two year later, she began her Montessori Lower Elementary training in Charlotte and, soon after, her Upper Elementary training in Boston. Mrs. Murgolo has had the pleasure of guiding children in both lower and upper elementary environments and even served as a Lead Guide in a Montessori middle school program. 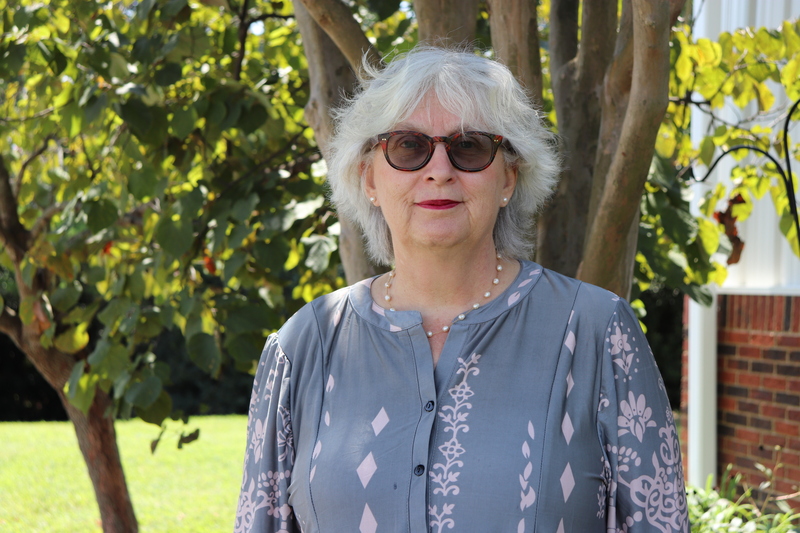 Over the years, she has been a Director of Curriculum and Instruction, a site administrator, and an Interim Head of School. It is her privilege and honor to continue to serve the Montessori community as Head of School at Prosperity Guidepost Montessori. Ms. Tomeka Bostic earned her bachelor's degree in therapeutic recreation from Mars Hill University in North Carolina. She fell in love with the Montessori Method five years ago when she discovered and chose this approach for her son. She enrolled her son in a local Montessori program and was soon after hired to work there as the Director of Admissions, a position that she found greatly fulfilling as it allowed her to welcome others into this wonderful community. 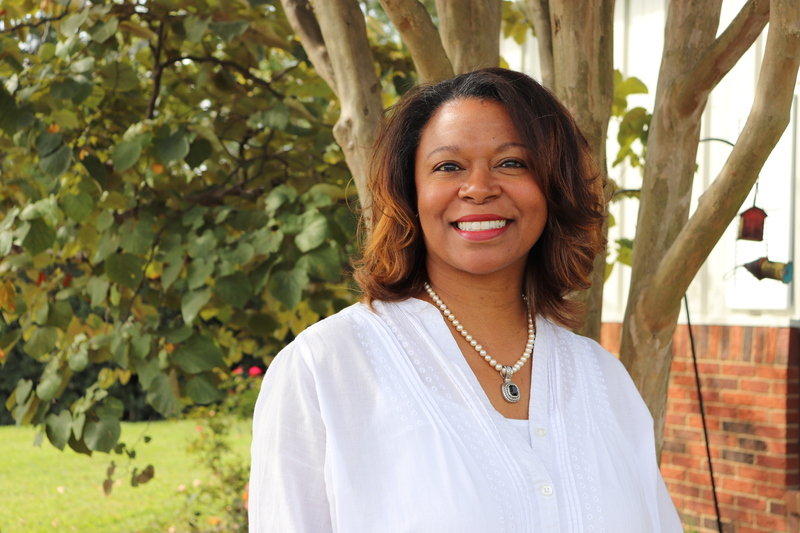 In Ms. Bostic’s free time, she loves interior decorating, spending time with her family, traveling to exciting new places, and hosting fun gatherings at her home. 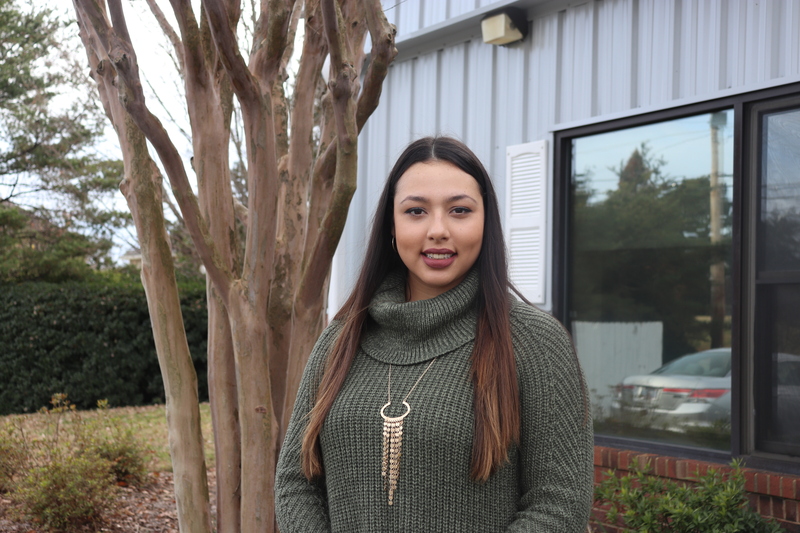 Ms. Kayla earned a bachelor's degree in Psychology from Old Dominion University. She also is currently obtaining her master's in Management and Leadership from WGU North Carolina. Ms. Kayla comes from a background in Finance & Healthcare Management, but fell in love with the Montessori Method during her undergrad courses. When she and her family moved to Charlotte, NC and found Guidepost Montessori for their daughter, it solidified her love for the philosophy! In her free time, Ms. Kayla loves exploring her new home and spending time with her family. Children are compelling in every way. They are fascinating, intriguing, charming, heartwarming creatures with infinite variation in personalities, tendencies, and interests. The unique joy and sacred responsibility of a child's caretakers is to learn about her — to discover and fall in love with her as she grows, to let careful observation and observant care guide her development, and to get to know her well enough to help her shape herself. A child's teachers and parents are collaborators in this process that is at once scientific discovery and heartfelt nurturing. To that end, our school is designed to further connect you with your child, to bring you into a community of valuable resources and education-minded people, and to make it as easy as possible for you to understand and support your child as she grows. The Montessori approach emphasizes careful, theory-informed, individualized observation of each child's development. We don't want to keep what we see to ourselves! The impact of these observations is greatest when shared with a child's parents. At Guidepost, parents receive regular, detailed updates about their children. Classroom guides are available outside of class hours by phone, email, or for scheduled in-person meetings. Your child’s guide will also meet with you for regularly-scheduled conferences about your child's learning and growth. We see these conversations, both periodic conferences and frequent exchanges, as critical for both giving and receiving information. They allow teachers to hear from the people most expert and most observant about a child: his parents. Parents will also receive written progress reports two to three times per year, each a summary of a teacher's observations of the child over the course of the previous months. Meanwhile, day-to-day and week-to-week, parents receive regular updates from the teacher, in the form of photographs and written anecdotes about their child. And finally, parents are able to directly access Transparent Classroom, the web-based system we use for careful record keeping and observations about your child. Transparent Classroom offers you an on-demand window into the lessons and classroom life of your child. Educating a child to grow up into a happy, thriving, engaged member of our culture really does take a village. The Montessori approach works best when manifested in a whole community of like minds, each of which shares a vision of children joyously learning, growing, and developing independence within a supportive network. We offer regular events to foster such a community: coffee chats with the school staff for informal discussion; seasonal events to bring all the school's children, staff, and parents together; parent education events to deepen everyone's thinking about childhood; and open houses to share the school community with new families. Our school fosters a directly connected body of parents — a diverse body of parents who are united by a deep care for their children. A great school offers the incredible resource of a trusted partner for parents in the education of their child. The simplest way to amplify that resource is to offer more of it: to offer it at flexible hours so that you can access a trusted, caring partner during days and times when you need us the most. At Guidepost, we offer an extended school day program, where children thrive in the Montessori approach all day long. Early morning and late afternoon times offer children the downtime and free time they need in order to assimilate all that they have learned during the school day. Each child can find time to develop interests outside the classroom with expert guidance, and to explore an environment rich with opportunities. With our extended care program, each child can find time to play in an environment rich with opportunities to explore and develop interests outside the classroom, all with expert guidance. To ensure that parents can rely upon a consistent social and recreational experience in a warm and expert school setting, our extended day schedule is offered inclusively with the cost of our programs: there is no extra charge for morning and afternoon extended day hours. In addition, extracurricular programs are offered during the afternoon extended day, after class time is over. Parents and children can choose from a wide variety of optional activities designed to spark your child’s passion in some way. Guidepost Montessori runs year-round. We know that we need to be available as a support for your family, so we minimize school closure days as much as we can. For enrolled families, a full calendar will be available on our Parent Portal. Our typical school day runs from about 8:30 AM to 3:00 PM, depending on the program. However, because we believe so strongly in supporting a partnership between home and school for families needing greater accessibility, our all-inclusive tuition price includes the option to utilize our extended day program. This means that your family can drop off as early as 7:00 AM and pick up as late as 6:00 PM.